The reason, Dr. Kahn says, is that you have a natural flora of bacteria living in your mouth that’s necessary for a healthy environment. 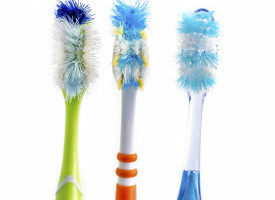 It is not necessary to try to completely remove these from your toothbrush. 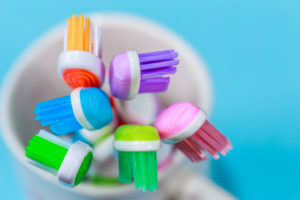 In its recommendation about toothbrush care, the American Dental Association (ADA) cites studies that have found no evidence of negative oral health effects from normal bacteria on a toothbrush. 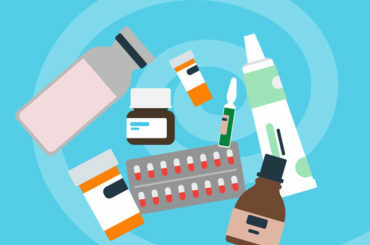 “If you don’t have that bacteria, that’s when opportunist microorganisms like yeast and fungi take over,” Dr. Kahn says. “You want a certain amount of natural bacteria in your mouth (just not around the teeth or gum tissue).” Instead of trying to sterilize your toothbrush, make a habit of replacing it regularly, she says. Use your eyes to protect your teeth. “When you can visually see discoloration, buildup or matting of the bristles, it’s time to change the toothbrush,” says Dr. Kahn. “It should look clean and straight.” Rinse well to dislodge any chunks of residual toothpaste. When in doubt, throw it out. The suggestions on when to replace a toothbrush vary according to manufacturer. Keep it easy and follow the ADA guidelines — replace it every three to four months, or sooner if the bristles become frayed. If you have a fungal, yeast or viral infection in your mouth, replace your brush at the beginning of treatment and again at the end. Never share a toothbrush. Your mouth needs a healthy flora of its own bacteria, but it’s not good to introduce bacteria from someone else. That’s why Dr. Kahn says you should never share a toothbrush, especially with your children. “That’s when they are acquiring their normal flora,” she says. Give it lots of fresh air. Store your toothbrush in an open-air holder, not in a dirty cup, drawer or travel case. That can promote the growth of mold or bacteria that isn’t natural to your mouth, leading to mouth diseases like gingivitis. “If you have any question about the effectiveness of your toothbrush, just get a new one,” advises Dr. Kahn.